HUSSON (ARG) (Chestnut 2003-Stud 2007). 5 wins to 1600m, San Isidro G.P. Raul y Raul E Chevalier, Gr.1. Sire of 284 rnrs, 162 wnrs, inc. SW Lucky Hussler (MVRC William Reid S., Gr.1), Russon, Sabat Husson, Lady Hussy, The Huntress, Affable, Hussousa, Peron, SP Looks Like the Cat, Miss Husson, Sister Souss, Ferment, Hi Son, Private Secretary, Lake Husson, Pay Up Bro, Dane Hussler, Husson Eagle, Little Miss Smiley, Pop 'n' Scotch, etc. XIC NEW (Refuse to Bend). 2 wins-1 at 2-at 1400m, 1800m to 2015-16 in Brazil, Cidade Jardim G.P. Henrique de Toledo Lara, Gr.1, 2d Cidade Jardim G.P. Barao de Piracicaba, Gr.1, Classico Riboletta, L, 3d Cidade Jardim G.P. Immensity, Gr.1, G.P. Presidente Guilherme Ellis, Gr.3. Victoria New. 2 wins-1 at 2-at 1300m, 1400m to 2014-15 in Brazil. Dark Matter (Sing.) (g. by Stratum). 9 wins to 1400m, 270,696Rgt., S$262,920, 541,325Dhs in Malaysia, Singapore and U.A.E, Selangor TC Carlsberg Cup-twice, Peugeot Trophy, Singapore TC IRT Juvenile S., Meydan UAE 2000 Guineas Trial S., Dubai Duty Free H., Singapore TC QTIS 600 2YO Yearling S., Graduation S., Class 3 H., 2d Singapore TC Aushorse Golden Horseshoe, Sgp-2, Progress S., Kranji C S., 3d Selangor TC Sports Toto Supreme Challenge Trophy, L, Class 1 & 2 H.
New Spur (g. by Flying Spur). 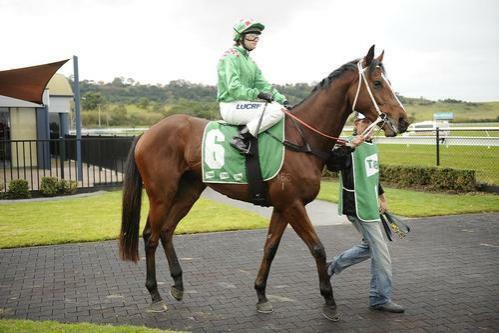 Winner at 1800m, 2d BRC TMM Group P., Mount Franklin H.
First Crush (g. by Husson). Winner. See below. LOVING NEW (Choctaw Ridge). 4 wins. See above. SWEET NEW (Choctaw Ridge). Winner at 2 in Brazil, Cidade Jardim Classico Presidente Luiz Alves de Almeida, L.
Outstanding New. 2 wins at 2400m in Brazil, 2d Cidade Jardim Prova Especial 14 de Março. Maharishi. 10 wins from 1300m to 1600m in Brazil. Kaiser Do Spa. 10 wins to 1500m in Brazil. Uri Geller. 4 wins at 1200m, 1300m to 2015-16 in Uruguay. Jadalma. 4 wins at 1500m, 1600m in Brazil. Producer. Pegasus New. 2 wins at 1300m in Brazil. Trufa Negra. Winner at 1400m in Brazil. Right New. Winner at 2 in Brazil. HYRAT (Tsunami Slew). 12 wins-1 at 2-from 1000m to 1600m in Brazil, Cidade Jardim G.P. Associacao Brasileira dos Criadores, Gr.1, Classico Semana Internacional, L. Sire. Lady Punk (Punk). 3 wins-2 at 2-from 1200m to 1600m in Brazil, 2d Cidade Jardim Classico Presidente Guilherme Ellis, Gr.3, Classico Presidente Luiz Alves de Almeida, L, 3d Cidade Jardim G.P. Thomaz Teixeira de Assumpcao Jr, Gr.3. Producer. ROSA BRAVA (Macho Uno). 4 wins from 1200m to 1600m to 2015-16 in Brazil, Gavea Classico Presidente Joao Goulart, L, Prova Especial Be Fair. Solveng (Grand Orient). Winner at 2 in Brazil, 3d Cidade Jardim Classico Presidente Herculano de Freitas, L.
BALOMPIE (Pardao). 5 wins from 2200m to 2600m, Saint-Cloud Prix Jean de Chaudenay, Gr.2, La Coupe de Longchamp, Gr.3, 2d Grand Prix de Deauville, Gr.2, Longchamp Prix Reiset, Gr.3, Grand Prix de Bordeaux, L, 3d Longchamp Prix Royal Oak, Gr.1, Gulfstream Green Valley H., L, 4th Milan Gran Premio del Jockey Club, Gr.1. Sire. CHEM (The Minstrel). 6 wins from 1800m to 3000m, Longchamp Prix de l'Esperance, Gr.3, Laurel Turf Cup, L, Deauville Prix de Menneval, L, 2d Longchamp Grand Prix de Paris, Gr.1, Aqueduct Knickerbocker H., Gr.3, 3d Santa Anita San Jacinto H., L. Sire. Sergeant Bibot (Blakeney). 3 wins-1 at 2, 2d Sandown Pepsi S., L.
LUISITA'S CHOICE (Sports View). 9 wins-2 at 2-at 8¼f in U.S.A. and Puerto Rico, Philadelphia Pa-THA Juvenile S., L, 2d Laurel Primer S., L.
THIRTEEN (General Slew). 5 wins in Venezuela, La Rinconada Clasico Torrejon, L.
SISTER FIONA (Defrere). 3 wins at 2, Monmouth Sorority S., Gr.3, Calder Masao Moriya S., L. Producer. ERNESTO (Royal Academy). 8 wins from 7½f to 8½f, US$243,945, Lone Star Bob Johnson Memorial S., L, 2d Lone Star Dallas Turf Cup, Gr.3. Race Record: 5 Starts 1-1-0 A$23,325. Winner at 1500m in 2014-15 in Aust.